The Anthology’s Workspace column takes us inside the creative spaces of some very creative people. 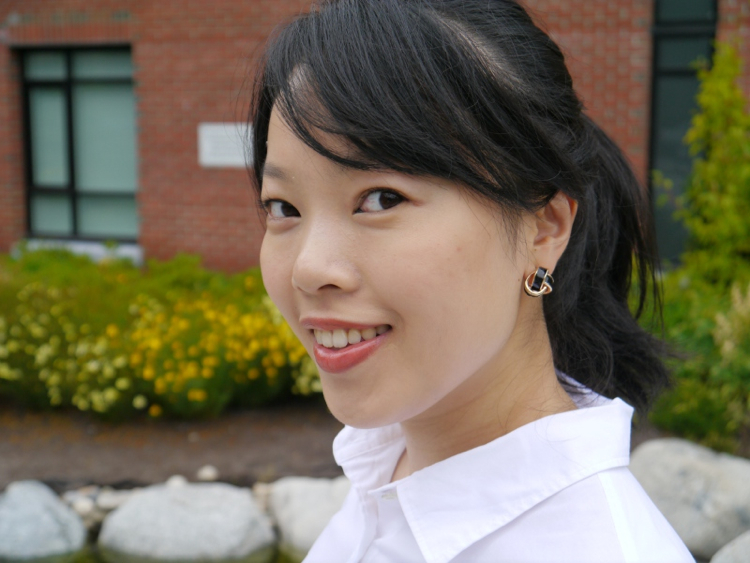 Lisa Wong is the red lipstick-clad beauty who writes about fashion and beauty for her blog Solo Lisa, and her mother’s closet and virtual BFF breakups — OMG! — for FLARE Magazine. 1. I’ve had the flowered Hello Kitty candy tin on my desk since I was little. It used to hold Crayola markers. Now it holds an assortment of pens and a pair of scissors, while the teal box underneath corrals all the random business cards I collect at fashion events. 2. Yup, I’m a PC girl at heart. I bought this Sony VAIO laptop to replace its ancient predecessor shortly after my first FLARE article was published; it was part reward and part incentive to get started on the next one. 3. 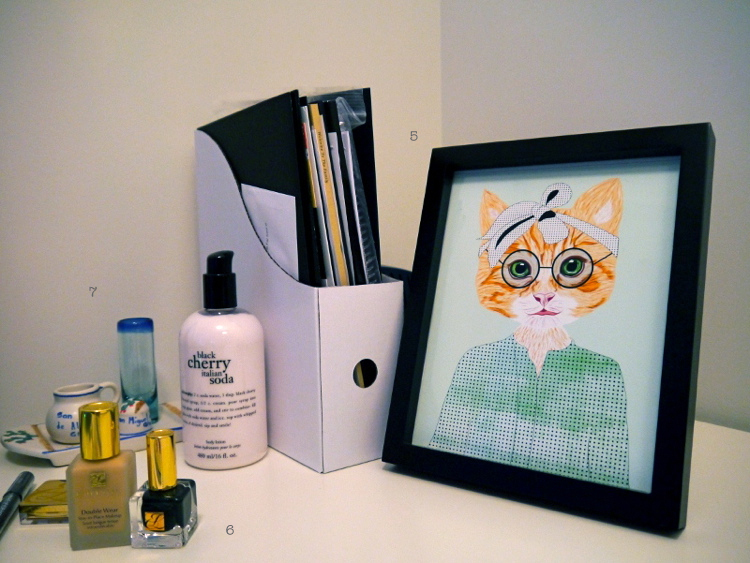 I loved this Stila Cosmetics <3 Lisa sketch so much, I framed it for the home office. 4. Since buying a condo and moving in with my boyfriend, I’ve been asking my parents for all their recipes so I can replicate their home-cooked Chinese dishes in our new place. I’ve handwritten their recipes for steamed fish, black bean and ginger chicken, and black bean and garlic spare ribs in this doggie notebook is from Lola Home & Apparel. Considering how my home office is right next to the kitchen, the desk seems like a logical place to keep the recipe book, as well as any jewelry I take off before cooking. 5. A magazine file full of lookbooks and press kits, and a cat print from Wild Rabbit, hide the unsightly wireless router from view. 6. There’s usually a mix of beauty products to be reviewed on my desk. Right now that mix consists of goodies from Estee Lauder, Philosophy, and Make Up For Ever. 7. This tequila shooter set is from a charming colonial town in Mexico called San Miguel de Allende. During my first trip to Mexico, my boyfriend at the time took me everywhere: Guanajuato, Puerta Vallarta, Oaxaca, Taxco. When we weren’t travelling around, we explored his hometown Mexico City. I’ve never had a drink out of it, but I like having it on my desk to remind me of my travels. P.S. Click your way to Solo Lisa to see the stylish fruits of Lisa Wong’s labour. P.P.S. 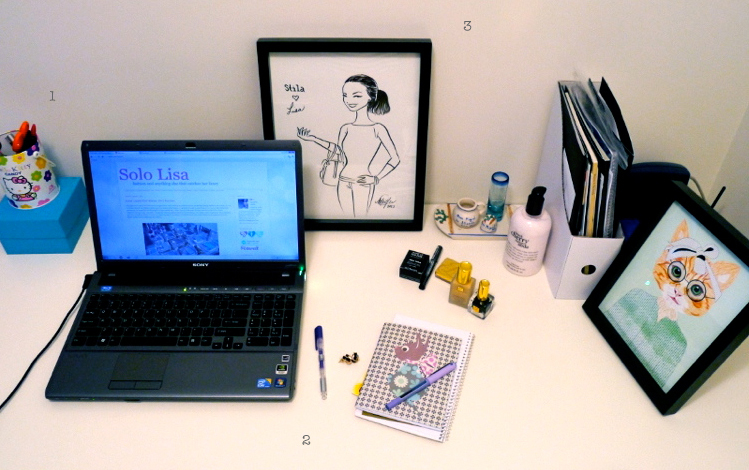 Check out the first post in the Workspace column and find out how Niki Blasina of A Haute Mess smells when she blogs. Click through the second post to find out where Anya Georgijevic of I’m the It Girl started her footwear obsession. And find out how Kumiko Ide of Tribal DDB keeps her workspace fresh to death. Jewelry designer Justine Brooks shares her works in progress and her favourite places to work very, very remotely. Such an honour to be featured alongside the other creative gals in the Workspace column. Thanks Kelsey! love this column Kelsey! If you want to feature a Danish workspace, am happy to share! Lisa — Thank YOU! 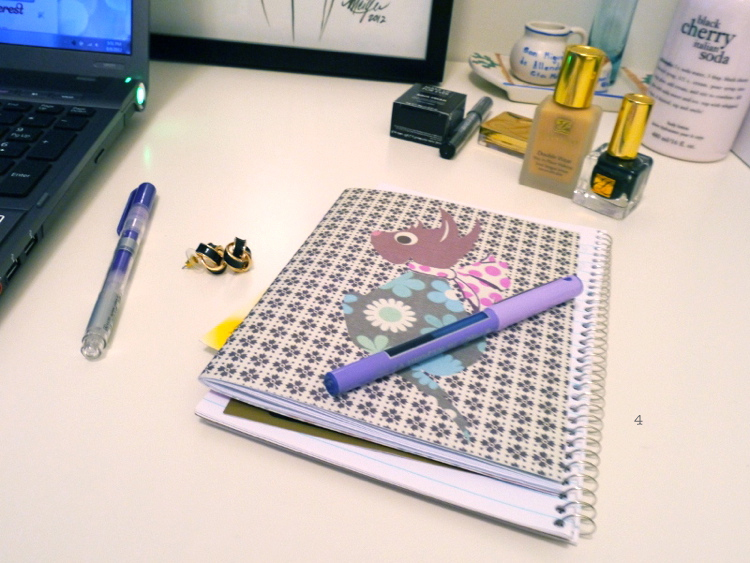 Your workspace is too cute! Anna — You better believe I’m going to take you up on that offer. Will email your shortly! I LOVE looking at other people’s workspaces – always so fun and interesting to me. Going to click over to the previous posts in this awesome column now!